The development of actual quantum computers – computers with processors that theoretically can solve problems millions of times faster than the computers we have today – is believed to still be in its infancy. However, the head of Canada’s Communications Security Establishment (CSE) has warned that within a decade, even the toughest encryption methods such as the RSA 2048 encryption, could be broken down by quantum computing systems. Cryptologist at the CSE and around the world are racing against time, said Greta Bossenmaier, CSE chief, to develop a new cryptographic standard before what has been called Y2Q or years to quantum, which is predicted to be around 2026. The CSE is Canada’s primary security agency. 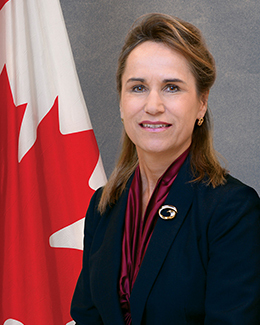 The CSE’s cyber security responsibility encompasses the collections, analysis, reporting and dissemination of information on threats to Canada’s national security. Also conducts covert and over operations in Canada and abroad. The CSE also collects, decrypts and analyzes broadcast and signals such as phone calls, tweet, emails and satellite transmissions from foreign nationals and overseas individuals and organizations. While current computers use long strings of binary code (always either a one or a zero), quantum computers use quantum bits (qubits) which could be in two states at the same time. While today’s computers can be hobbled by extremely complicated encryption, many scientists believe a quantum computer can have a tremendous processing power able to render current public key cryptography useless, according to a report from the National Post. 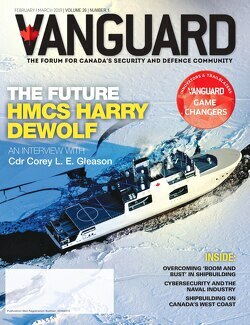 A federal briefing on insider threats last December indicated that 90 Canada’s critical infrastructure (those delivering essential items such as food, clean water, health services and financial services) is controlled by the private sector and is dependent on information technology, according to a report from the Canadian Press. The CSE chief also warned that the interconnected nature of many systems poses a great threat to multiple industries. For instance, electric grids are connected to transportation hubs, and businesses, government agencies, hospitals and financial institutions are all connected to the Internet. Bossenmaier said a cyber attack on a system could potentially cause a cascading effect that would knock out other systems. Her warning came at a time when the Liberal government has started consultations with Canadians on the development of is news cybersecurity policy.